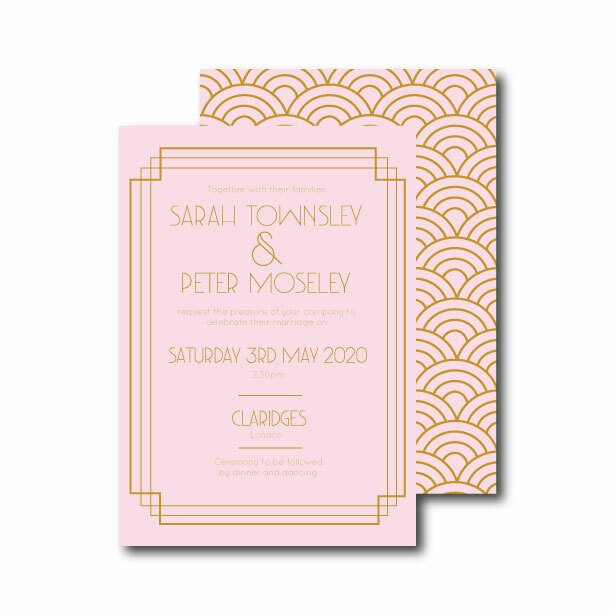 Our Art Deco collection is perfect if you are planning a 1920's inspired wedding. This collection is sure to dazzle your guests. The Art Deco inspired font gives this design the perfect modern twist to create an elegant feel to your day. This collection looks great with any colour background so you can be sure it will match your day. 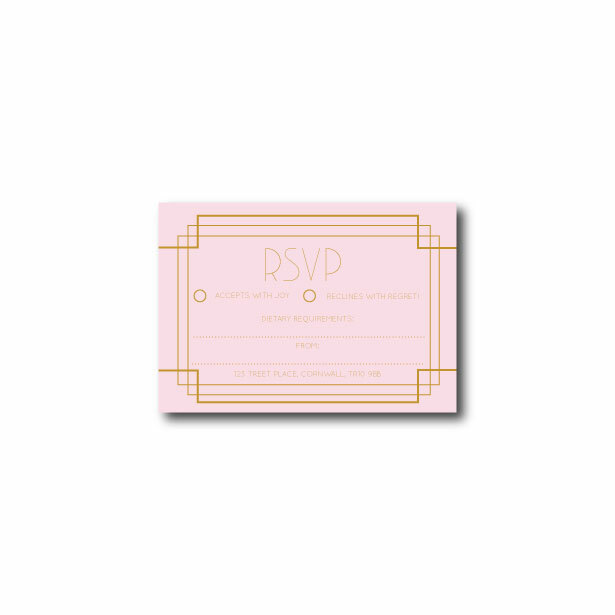 This listing can be used for both day and night invitations.